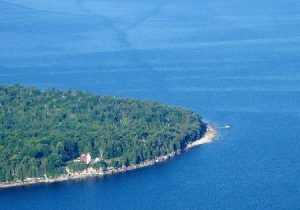 Experience a Majestic Aerial View of Door County. 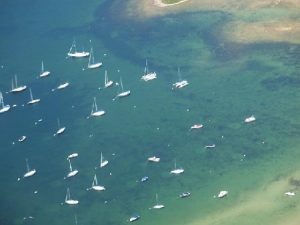 See Beautiful Door County from the air on a scenic air tour with Grizzly Over Door County. Majestic lighthouse beacons, sunken treasure ships and peaceful church steeples are just the beginning of what you will see when you take off from the Sturgeon Bay airport on a Grizzly Scenic Air Tour. Patchwork fields, stone-face cliffs and a lake of shining waters greet your eyes as “The Grizzly” glides through the crisp air. This is Door County! Scenic Air Tours and Aerial Photo Sessions Available Year Round. May 1st through October 31st – Daily. 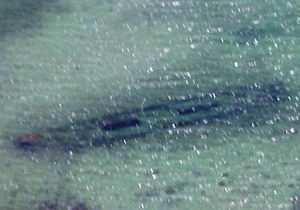 Weather, waves, sea conditions and sunlight will all effect the viewing of the sunken schooners and availability of flights. Dave Burke loves to fly. It’s really that simple. 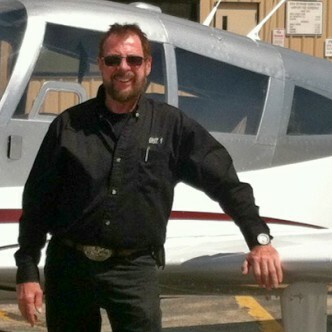 He got his flight training and is a long-time resident and businessman in Door County. Dave has transferred the outstanding customer service his customers have come to expect with his local tree service business (Dave’s Tree Service) to Grizzly Scenic Air Tours. 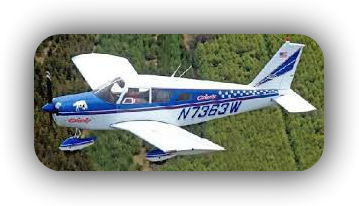 His primary goal is to show you the wonder of Door County in a safe and fun way from the air. With our tours you pay one price for the airplane, pilot and three sightseers. No confusing price break-down and always amazing views. See a beautiful Door county sunset. Watch from the air as the sun sinks between the islands around Door County. We offer sunset tours on our 60 min, 70 min. & 100 min. tours only. This is a sight that everyone should witness at least once in their lifetime. Some of the most beautiful shoreline in the world lies from Cave Point north to Rock Island. On all of our tours you will see at least one lighthouse. On our longer tours you will see sunken schooners, lighthouses, and many beautiful coves and hidden harbors. If one of our package tours does not cover what your group would like to see, let us know, we can custom design a tour to suit your needs. Click on a package below for pricing and details. Prices include tax. Grizzly Scenic Air Tours takes off from the Cherryland Airport in Sturgeon Bay. You will fly over stone quarry then east towards Lake Michigan then South through the canal then back to the airport. 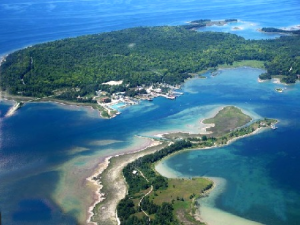 Enjoy at sample of beautiful Door County from the air! 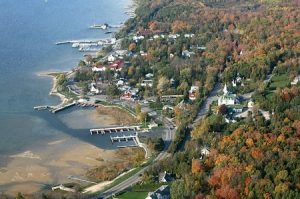 Our 30 Minute Tour offers a beautiful tour of Door County. We’ll head north on the bay side to Egg Harbor then we’ll turn East toward Jacksonport and head South along majestic Lake Michigan and back through the Canal to the airport. There is so much to see by air that you are sure to love the 45 Minute tours offered by Grizzly Scenic Air Tours. Our 45 min tour follows the bayside heading North all the way up to Ephraim and Sister Bay then we’ll head east to see the iconic Cana Island Light House following Lake Michigan South to the Canal Station then back to airport. When You Need To Get That Perfect Shot! A 70 minute Shoreline Photo Tour follows the same track as the 60 minute tour but the pilot will circle sunken schooners, lighthouses or other points of interest you may want to view again, or to take more photos. Door County boasts sandy beaches and spine tingling limestone cliffs. These views are nature at it’s finest. 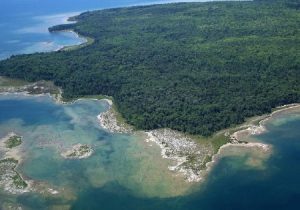 As you fly along the Door Peninsula take in the breathtaking views of all the picturesque beauty that is Door County. Lighthouses, Islands of Door County, Village coasts, Cavepoint County Park, Whitefish Dunes, Sunken Schooners, Death’s Door and so much more. When You Want To See It All! All of the islands, all of the shoreline villages, all of the bays, harbors, lighthouses, parks, sunken ships and sights will be there before your eyes. As you leave the Sturgeon Bay Airport the tour will take you to the very tip of Door County all the way to the busy city of Sturgeon Bay. You will glide along the bay of Green Bay spotting little communities like Little Sturgeon, Egg Harbor and Fish Creek. Be sure to bring your camera or smartphone, because you are sure to want to remember this flight. Real Estate and Aerial Photo Shoots call for pricing. Book Your Epic Air Tour Today! We take off from the Cherryland Airport in Sturgeon Bay.